William Penn (October 14, 1644 – July 30, 1718) was the son of Sir William Penn, and was an English nobleman, writer, early Quaker, and founder of the English North American colony the Province of Pennsylvania. He was an early advocate of democracy and religious freedom, notable for his good relations and successful treaties with the Lenape Native Americans. Under his direction, the city of Philadelphia was planned and developed. In 1681, King Charles II handed over a large piece of his American land holdings to Penn to pay the debts the king owed to Penn's father. This land included present-day Pennsylvania and Delaware. Penn immediately set sail and took his first step on American soil in New Castle (now in Delaware) in 1682 after his trans-Atlantic journey. On this occasion, the colonists pledged allegiance to Penn as their new proprietor, and the first general assembly was held in the colony. Afterward, Penn journeyed up the Delaware River and founded Philadelphia. However, Penn's Quaker government was not viewed favorably by the Dutch, Swedish, and English settlers in what is now Delaware. They had no "historical" allegiance to Pennsylvania, so they almost immediately began petitioning for their own assembly. In 1704 they achieved their goal when the three southernmost counties of Pennsylvania were permitted to split off and become the new semi-autonomous colony of Lower Delaware. As the most prominent, prosperous and influential "city" in the new colony, New Castle became the capital. 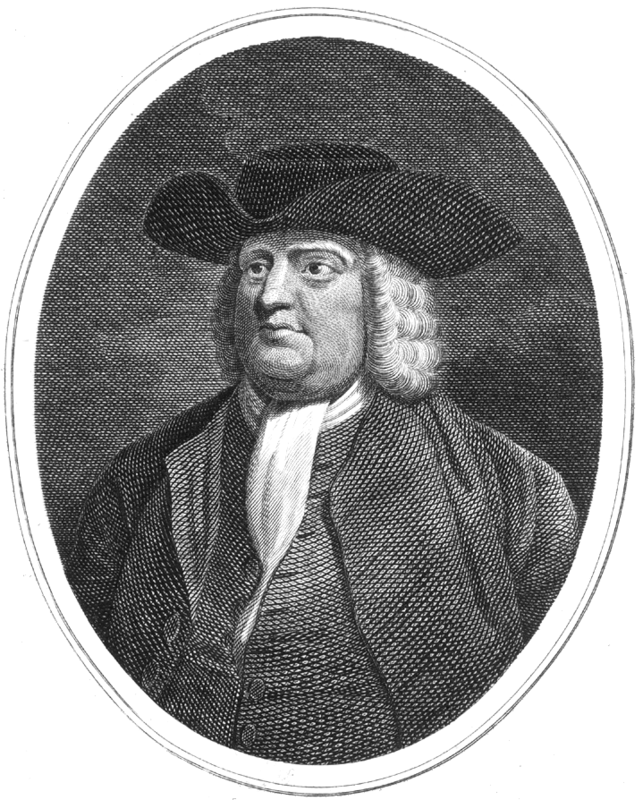 As one of the earlier supporters of colonial unification, Penn wrote and urged for a union of all the English colonies in what was to become the United States of America. The democratic principles that he set forth in the Pennsylvania Frame of Government served as an inspiration for the United States Constitution. As a pacifist Quaker, Penn considered the problems of war and peace deeply. He developed a forward-looking project for a United States of Europe through the creation of a European Assembly made of deputies who could discuss and adjudicate controversies peacefully. He is therefore considered the very first thinker to suggest the creation of a European Parliament.